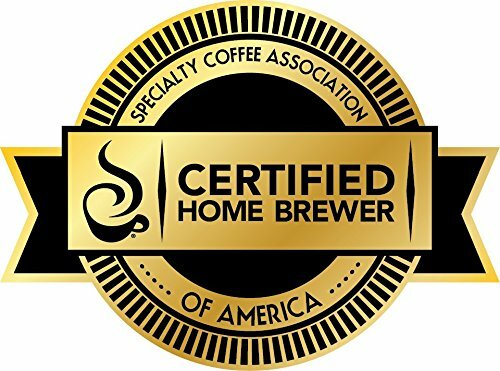 Bagging the Specialty Coffee Association of America’s Gold Cup Award is no minor feat! There has to be a fine combination between taste and functionality that would make any true coffee-lover get up on their feet and belt out a tune or two. 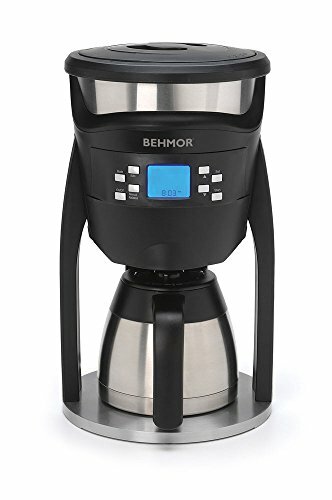 And the $130 Brazen Plus Temperature Control Coffee Maker by Behmor is one of the very few coffee machines to clinch this coveted award. Wondering what the fuss is all about? Well, it’s all about control; temperature control to be exact. 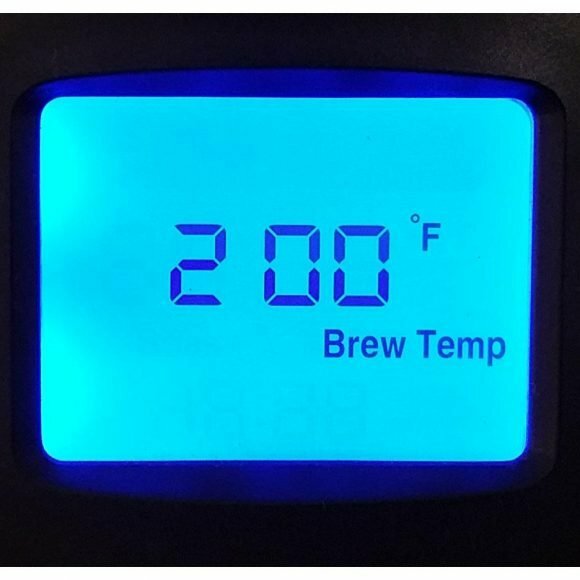 Unlike the majority of drip coffee makers in the market, the Brazen Plus actually lets you control the coffee’s brewing temperature. This is a total taste game changer! You can also tweak with the pre-soak time and program the boiling point to coincide with your altitude. Now it all makes sense why this machine makes the SCAA all hot and bothered. 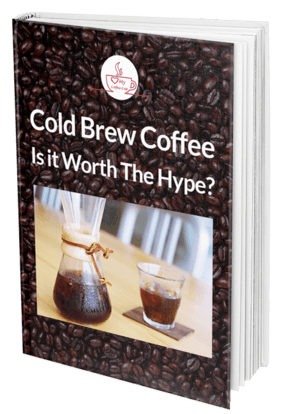 But let’s see if it really has the oomph to become your go-to coffee maker. The Brazen Plus Temperature Control Coffee Maker has this whole sci-fi, extraterrestrial vibe about it; like a sinister mother ship. 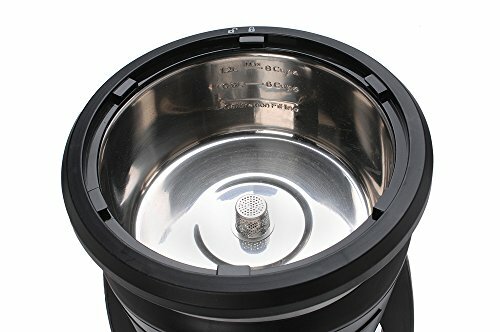 The top portion consists of the water reservoir and filter basket propped-up by 3 legs, leaving space underneath for the 40 oz, double-walled stainless steel carafe. The unit stands at a dominating 15.2 inches, so you must ensure you have enough clearance for this lengthy fellow. At first glimpse, you might notice all the matte plastic in the construction and cringe at the fact that you’ve just dropped 200 bucks on all this. But you’re in for a pleasant surprise! Open the water reservoir at the top and you’ll be greeted by shiny, stainless steel lining the inside. If you’re one of the many people that abhor plastic water tanks, then this feature will definitely spark a smile. The stainless steel doesn’t extend to the filter basket though, with the plastic enclosure accommodating either a reusable gold filter or a flat-bottomed paper filter. But the minimalist beauty houses pretty amazing tech underneath. Like a control freak’s sweetest dream, that’s how! The Brazen Plus is designed to offer superior control over elements like temperature, to really brew that perfect cup of joe just like you’ve always wanted. There is a bit of a learning curve involved though, so make sure you hold on to that manual. But once you get a grip on using the simple-looking interface, there are quite a number of neat things you’ll be able to do. All you have to do is press the 'Mode’ button on the interface, and you can pick a temperature range between 190-210F. And that small tweak in temperature can mean the difference between okay tasting coffee and I-think-this-might-be-paradise coffee. Again, by pressing the Mode button, you can choose a pre-soak time between 15 seconds all the way to 4 minutes. If you’re in a hurry then you might possibly not have the patience to wait a whole 4 minutes for your coffee to take a nice, little bath. But it does have a difference; especially so for freshly roasted coffee. Pre-soaking allows the coffee to bloom and readily give off all that flavorful goodness. The fresher your beans, the longer you’ll want to set the pre-soak time. But the manual elaborates on all this. So again, don’t forget to read it! If you live in a particularly high altitude, then this feature will be a total godsend. If you ever paid attention in Geography class, you’ll remember that water boils at a lower temperature in higher altitudes. So most coffee makers at this height never heat water to the right temperature, leading to under-extraction in most cases and tepid tasting brew; yuck! With the Brazer, you get to set your elevation and the machine factors this in to calculate the proper boiling point; pretty smart. If you’d like to boil some hot water for your tea, French Press or Chemex, the Behmor’s manual water release mode allows you to do just this. It essentially turns the machine into a pricey water heater. But it really isn't worth the hassle. The whole dispensing bit of it can be quite messy. And telling the doctor you scalded your hand trying to use that new, alien-looking gadget of yours will just get you some disapproving stares. So it’s just easier to use a regular ol’ hot water kettle instead. The biggest gripe about this coffee maker is its speed. It can be slow. 11 minutes-slow. Yes, that’s the amount of time it takes to brew a whole carafe. It’s the price you pay for that dead-on temperature accuracy. Most machines usually heat the water in bits, hastening the brewing process. But the Brazen Plus has to heat the whole reservoir of water to the set temperature before it showers it on the grounds. And if you opt for a longer pre-soak time, that duration could get even longer. 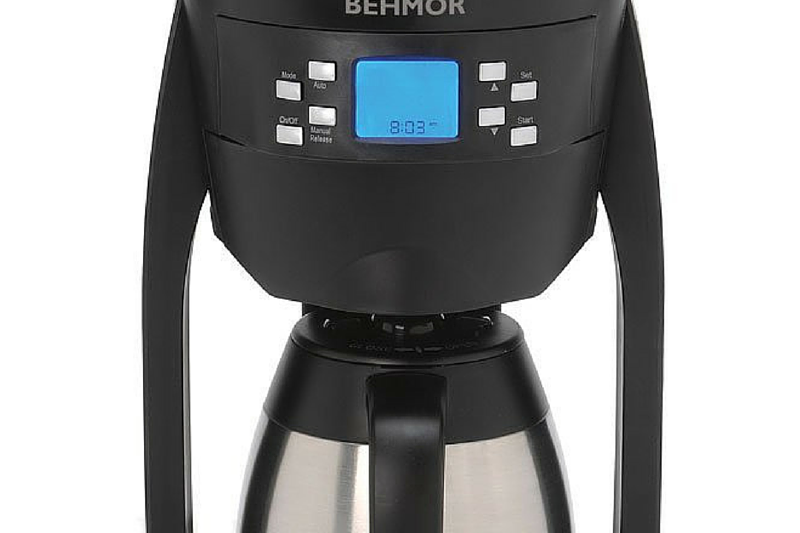 But luckily for all of us, the Behmor comes with a programmable brew start time. 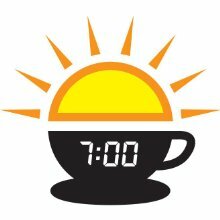 So you can simply set it before you get some shut-eye and wake up to the ethereal waft of java. If your caffeine addiction has reached intervention-worthy levels or you happen to have a large household, the 40-ounce carafe might be too small; especially considering that you’d have to wait quite a while for your lips to taste that golden brew. But the one area where this machine shines through is in its consistency. Once you have all your settings in place, you should expect things to run without a hitch. You can tell quite a bit of thought was injected into designing this bad boy. Adjustable temperature and elevation calibration. Consistently hot cup of joe. Condensation build-up in reservoir's lid. Thermal carafe cools a bit too quickly. A machine of this caliber was desperately needed in the market, and java-junkies the world over can thank Behmor for finally making it happen. It definitely has some quirks; especially with the particularly long brew time. But it’s really nothing you can’t learn to live with. 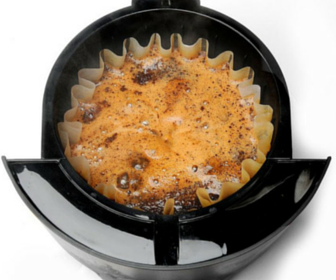 Hey, if you’ve always had temperature issues due to altitude, or simply want to fine-tune your cup of coffee to taste bud-tantalizing levels, then the Brazen Plus 8 cup thermal carafe coffee maker will be a welcome addition to your kitchen. It’s about time you awakened your control freak side anyway.